The multi-track events of GIFF 2012 included Islamic Finance Executive Master Class, Global Islamic Finance Taxation Forum, Bridging Economies Forum, Islamic Microfinance and Financial Inclusion Forum, Regulators Forum, Global Islamic Liquidity Management Conference, International Shariah Scholars Forum, Industry Specific Dialogue, International Islamic Capital Market Forum, and two Public Lectures. The Public Lectures were delivered by H.E. Mr. Ali Babacan, Deputy Prime Minister of Republic of Turkey, and H.E. Dr. Mahmoud Mohieldin, Managing Director of the World Bank. A series of side events were also conducted throughout GIFF 2012 including exhibitions and networking, strategic alliances and private business engagements. Mr. Babacan’s speech covered a wide range of issues including Turkey’s relationship with Europe, its economic resilience in the face of the global financial crises, and the development trajectory of Islamic finance industry in the country. 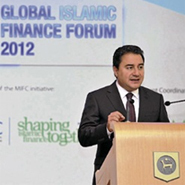 Pointing to the relatively small share of the Islamic finance industry within the global financial system, Mr. Babacan said: "This means there's still ample room for growth and there's huge potential. 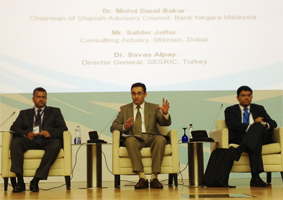 SMEs and a rising Muslim population will help propel Islamic finance to a new level." 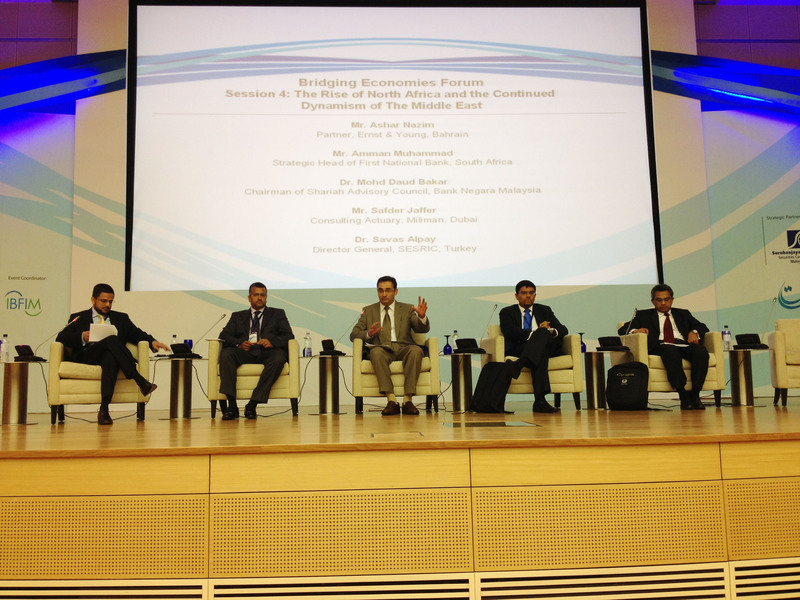 Dr. Savas Alpay also addressed the GIFF 2012 through a special session on “The Rise of North Africa and the Continued Dynamism of the Middle East” which was held during the Bridging Economies Forum – on 19 September 2012. In his speech, Dr. Alpay dwelled on the prospects for and the challenges against the development of the Islamic finance industry in the Middle East and North Africa (MENA) region. He said that the growth of the global Islamic finance assets was mainly driven by MENA and, particularly, by GCC. He further added that the lack of Islamic finance infrastructure, inadequate sectoral and product-wise diversification of Islamic finance assets, highly localized nature of the Islamic financial institutions in the region, and insufficient utilization of Islamic project finance instruments, such as Sukuk, were the main obstacles. 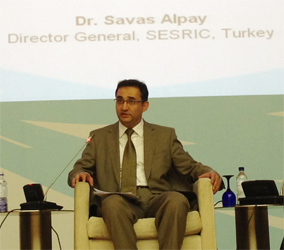 Dr. Alpay concluded his speech by indicating that the future success of Islamic finance very much hinged on its ability to avoid potential “too-big-to-fail” pitfalls which had already proven to be very disruptive during the last financial crisis. 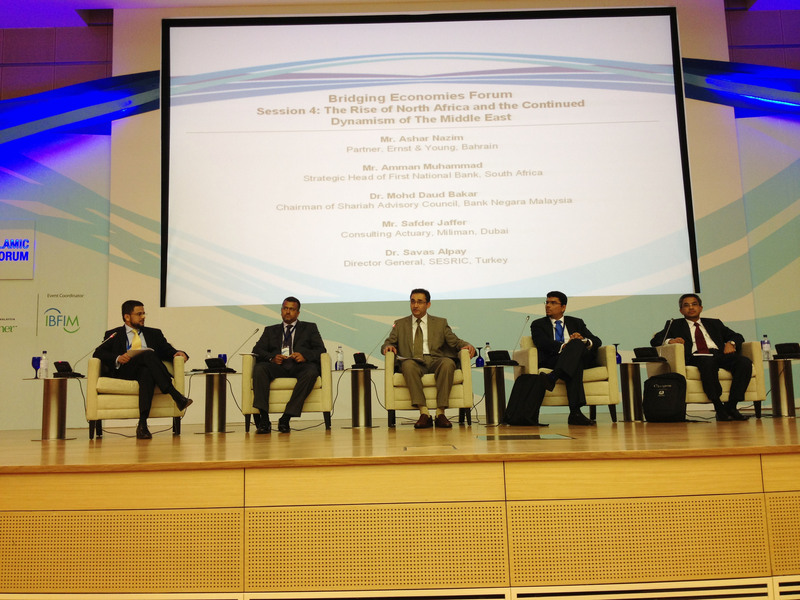 The session also featured a number of case studies from the MENA region. On the occasion of GIFF 2012, the SESRIC delegation paid a visit to Tan Sri Dato' Sri Dr. Zeti Akhtar Aziz, Governor of BNM. During the visit, the SESRIC Director-General briefed the BNM Governor on the various activities of the Centre and extended his gratitude for the BNM’s contribution to and leadership role in the development of Islamic finance in OIC member countries and beyond. Dr. Akhtar expressed her appreciation of and support for the activities undertaken by the Centre to increase the level of cooperation among central banks and monetary authorities of the OIC member countries. The 2nd Royal Award for Islamic Finance was conferred to Mr. Iqbal Khan, an eminent Islamic banker and CEO of Dubai-based Fajr Capital. The Royal Award was spearheaded by BNM and Securities Commission Malaysia, in support of the Malaysian International Islamic Financial Centre (MIFC). For more details, please follow the link http://www.giff.com.my.